Home Earthmoving & Construction Always Ready for ACTION! The DX220LCA-2 is Doosan’s new entry into the 20 to 22 ton excavator class, developed with advanced design features for greater productivity in daily operation – even in the harshest conditions on African soil. “Not only do these robust machines boast pristine manufacturing standards, but Doosan’s advanced technologies have been introduced in the latest excavator series, to ensure optimum fuel efficiency, precision control and greater operator comfort. 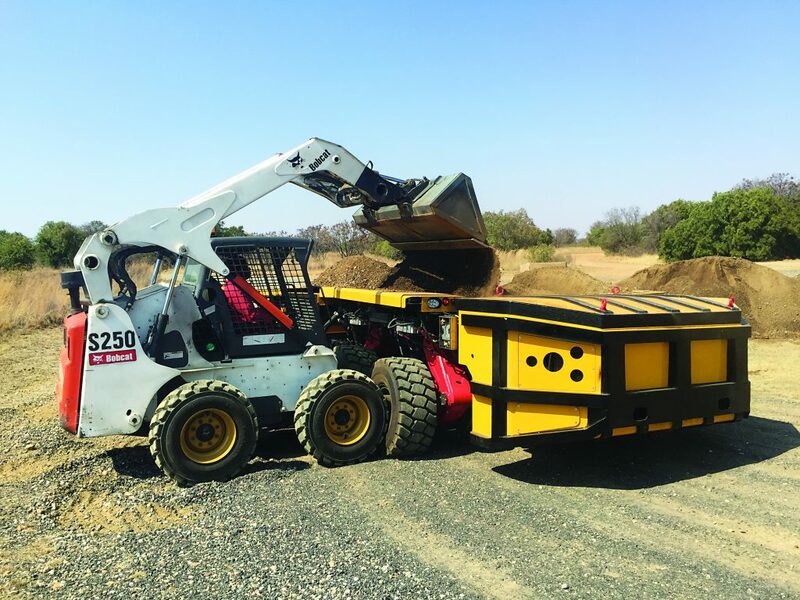 Added to this, is the advantage of a more reasonable total cost of owning and operation (TCO),” says Darrel Holton, managing director, DISA Equipment (Pty) Ltd T/A Doosan, part of the Capital Equipment Group (CEG) of Invicta Holdings Limited. “What’s notable is the DX220LCA-2 excavator can perform the same challenging operations, with lower fuel consumption, than other machines of the same class, boasting increased work efficiency. The engine power of these excavators is a maximum of 109kW at 1 800rpm, with a maximum torque of 66 kgf.m at 1 400rpm. The newly designed frames, undercarriage, swing bearing, sprocket roller and reinforced heavy-duty boom and arm offer greater durability. To protect the base of the arm, reinforced bars have been added and the arm centre and end-boss have been strengthened. A new general purpose (GP) bucket is installed onto the machine as a base spec, with open-type side cutters for improved loading operations. The H class bucket has a maximum capacity of 1,40 m³. The optimum use of space in the cabin is impressive. The newly-designed monitor clearly displays all relevant information for different operation scenarios and with the new joystick buttons, the operator can easily select specific features. For example, the breaker button is activated when this button is pushed, the eco-zone mode button is selected for the most fuel-efficient sector and the power mode is selected for more demanding tasks. A walk around the machine shows that easy access to all components, including the engine oil filter, radiators and grease inlets, enables quick maintenance procedures and prevents contamination to the surrounding environment. A rotor type of pre-cleaner in DX220LCA-2 excavators filters out particles larger than 20 mircros with over 99% accuracy. Doosan has designed a high capacity water separator to improve engine durability and a large reserve tank, with UV protection, has reduced failure risks. A larger cooling module ensures extended service life of every machine and a new vertical fuel level sensor provides highly accurate information about the fuel level. The new separate design of injection and discharge of the grease valve for the idler cylinder, reduces the risk of failure in valves. The Doosan team offers a technical advisory, maintenance and support service through its national branch and distributor network. The company provides a quick delivery of parts throughout southern Africa to ensure minimum downtime of every machine. Doosan earthmoving equipment, which is manufactured in South Korea, encompasses track, wheel and mini excavators, articulated dump trucks (ADT’s), as well as wheel loaders and various attachments.